Since my arrival in the Czech Republic I have been feted, fed and treated like visiting royalty. My former student Jana insisted on picking me up from the airport (which has been renamed since I was last here - it is now Václav Havel Airport, in honour of the late dissident/playwright/president) and driving me to a village near Prague where another former student, Jakub, lives. As you can see Jana is about to have twins; and by the time you read this Jakub and his wife Klára will have become parents for the third time. Congratulations! 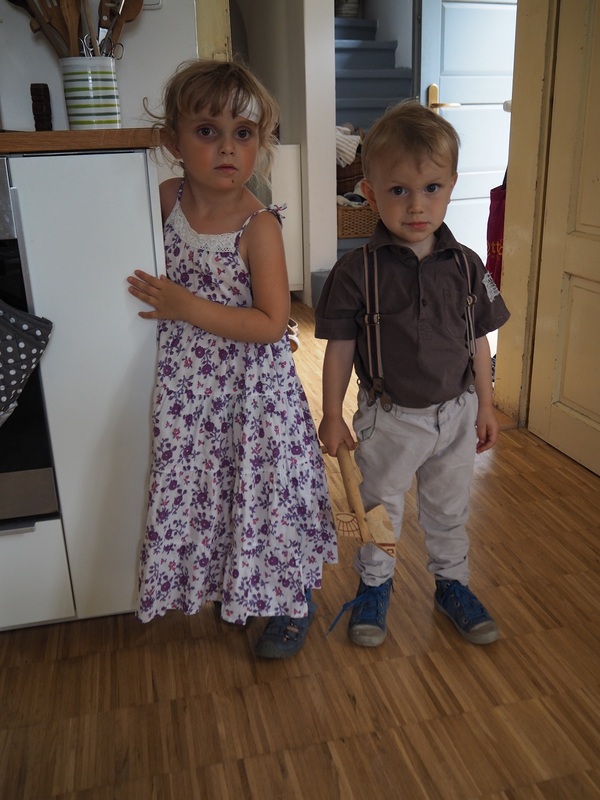 ... and these are Jakub's children as of last week, Luisa and Šimon. When he's not looking after these two Jakub is head of the philosophy faculty at Charles University in Prague.